The 2009 SIAM/ACM Joint Conference on Geometric and Physical Modeling will precede this meeting at the same location from October 5-8, 2009. 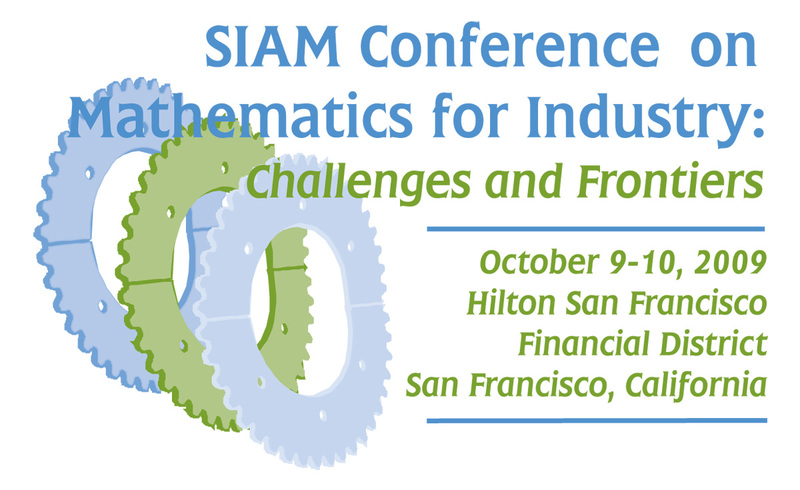 The SIAM conferences on Mathematics for Industry focus attention on the many and varied opportunities to promote applications of mathematics to industrial problems. From the start of planning for these conferences, the major objective has been the development and encouragement of industrial, government and academic collaboration. The format of this conference provides a forum for industrial and government engineers and scientists to communicate their needs, objectives and visions, to the broad mathematical community. In 2009 an all-electronic proceedings will be introduced providing a unique and convenient opportunity for the SIAM community to publish applications of and research in applied mathematics. The major themes continue to fit the important categories of Challenges, Frontiers, and Industrial Academic Collaboration.